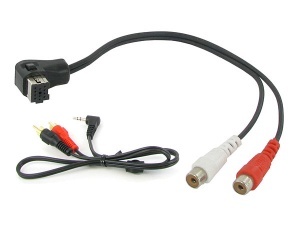 Pioneer AUX input cables for aftermarket Pioneer car radios. Connect iPod, iPhone, iPad, MP3 players and more via RCA phono or 3.5mm jack lead. Select your Pioneer AUX adapter below.